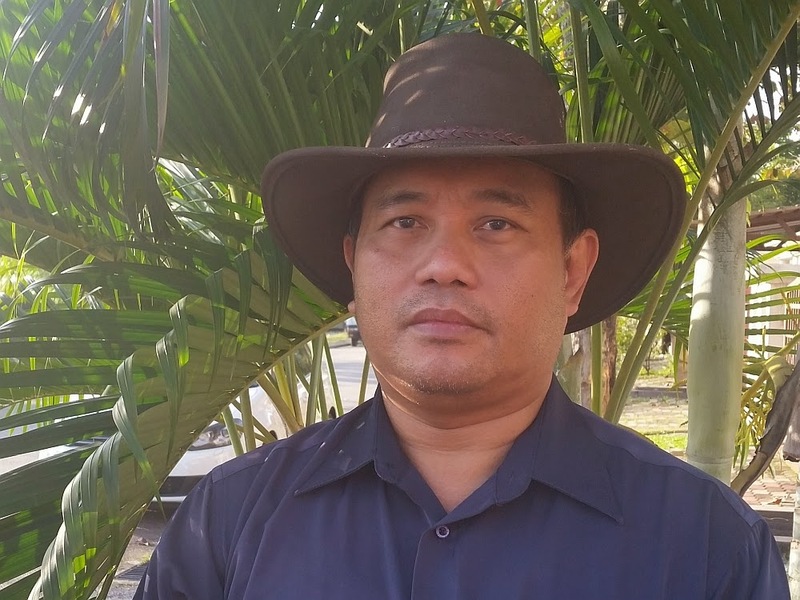 Daun Pandan - Pandanus amaryllifolius is a plant belong to the Pandan family. It is use widely in Southeast Asia cuisine as flavouring. 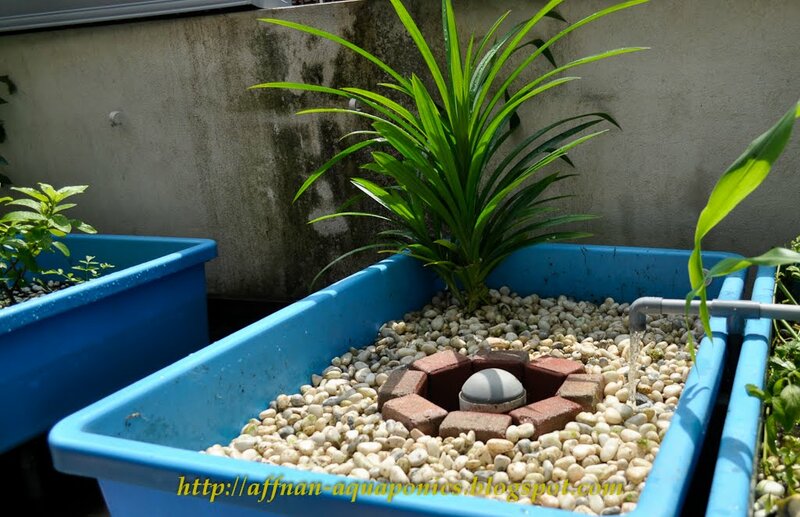 Growing it in Aquaponics do not require any special care due its naturally from the swamp anyway. Young plants taken from clusters from nearby patch planted into Aquaponics growbed. In no time these Pandan start to colonize the growbed, they have to be trimmed to a manageable size. On an average household one single plant is enough and can be grown in a growbed. 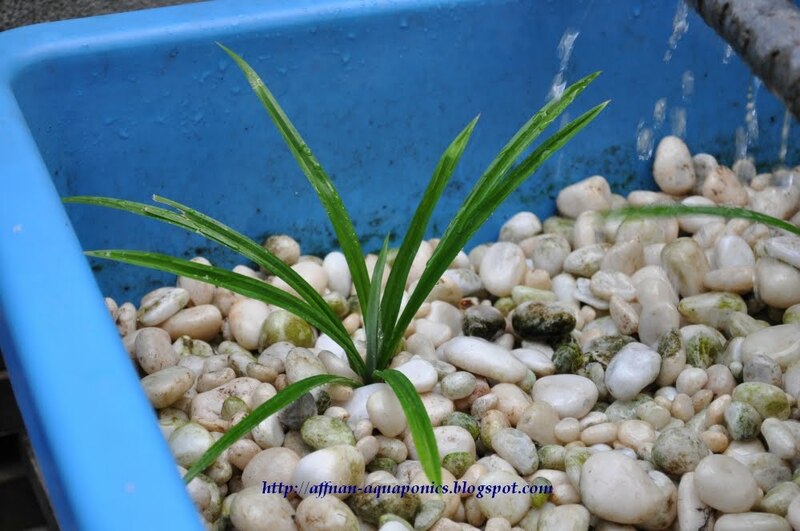 I've read somewhere Pandan is excellent biofilter for aquaphonics. It does not require much sunlight. Keladi bunting also good for biofilter, but require full sunlight. Pandan use to grow in swampy wetland, so I guess its true. Fern those edible variety also are good in filtering water. Have you tried bemban? It's a swampy plant, nice flowers too. I dunno whats the other use for this plant. In the old days, ppl make the stripped skins of bemban to tie up their attap. Boys makes bemban pistols / guns and play shoot and war with bemban bullets. 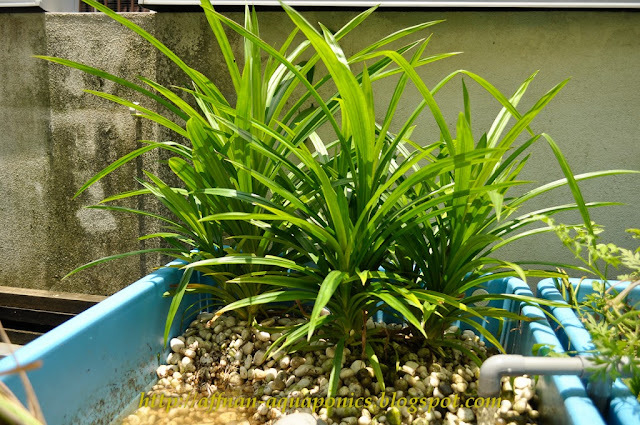 Bemban is not suitable, since the plants can get quite big. Its can be use for medicinal purpose or some place the make mat out of it. Hi Nan, my wife want to plant this pandan leaf here in Dubai but we don't have any fish. Is it do-able? In Dubai, you can grow Pandan in the shade on normal top soil, no Aquaponics necessary. In this situation you need fertilizer. On Aquaponics if no fish, there is a way, to get ammonia. The practitioner call it "Peeponics"